Have you heard about the Dollstagrams on Instagram? 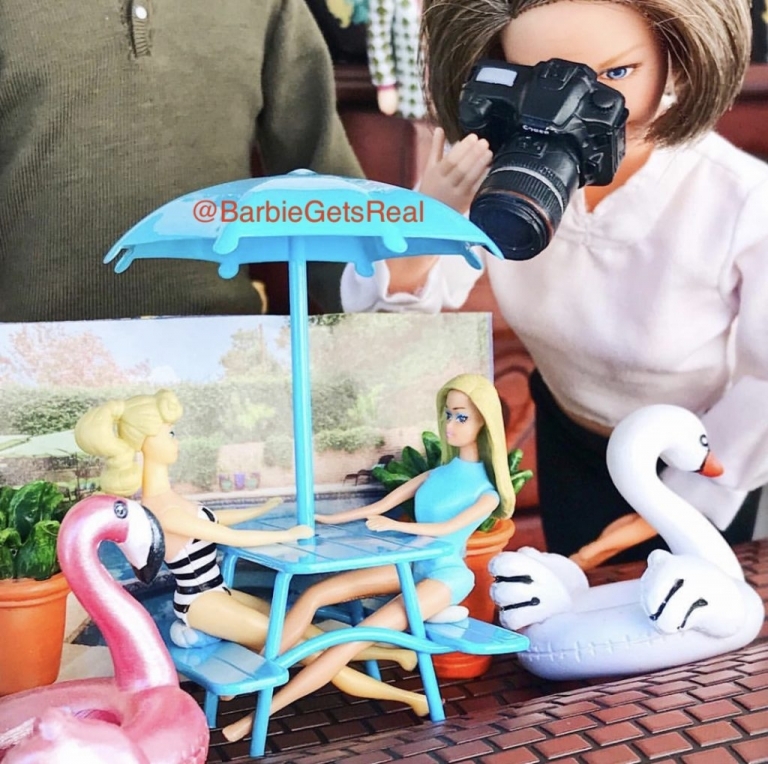 It’s the doll-collecting community on Instagram that photographs their Barbie, American Girl, and various other dolls. 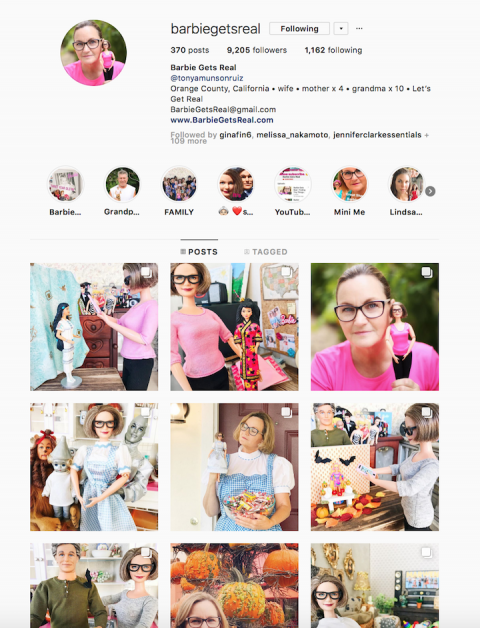 I am fairly new to dollstagramming, as I only started my Barbie Gets Real Instagram last year as a family project with my grandkids and I wrote the story behind my Barbie doll family on my blog. We’ve created a one sixth scale plastic parallel version of our real lives. No one is as surprised as I am that we have thousands of people following our account. What started out as a small, fun family project has turned into a new hobby for Ron and I, aka Grandma and Grandpa Barbie. Ron builds my props, helps me stage my photos, and we enjoy going to the swap meets, craft stores, and estate sales looking for items for our 1:6 size lives. A few dollstagrammers asked me where I find my miniatures, so I started a YouTube channel to take followers along on our tiny treasure hunts. I was curious last week when I heard that the New York Times wrote about dollstagrams. The article “Tally of the Dolls -How Barbie, G.I. Joe and their wee friends became powerful Instagram influencers” caused quite a stir in the doll community. The NYT article mentioned Socality Barbie. I remember when my kids showed me Socality Barbie a few years ago and how clever they thought the account was. News is she’s making a comeback. 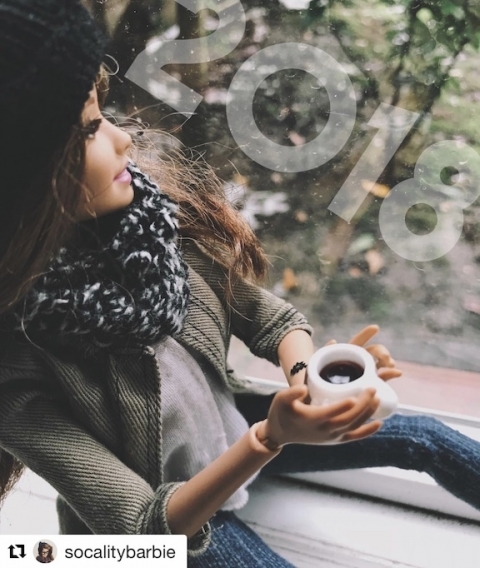 Is Socality Barbie making a comeback? 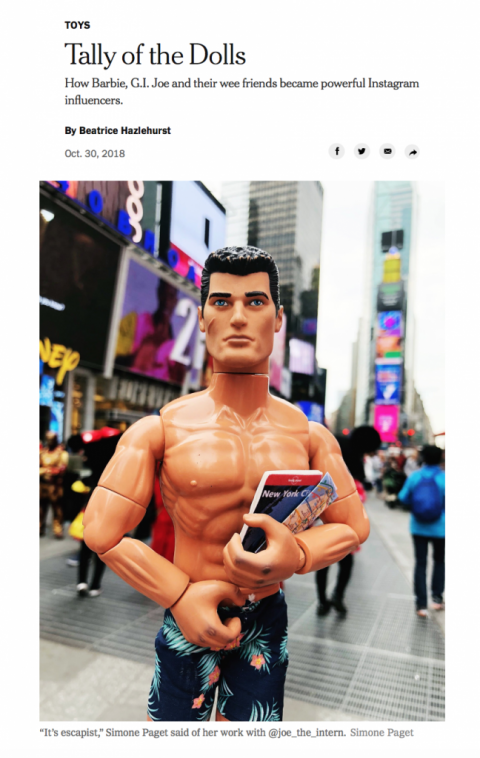 The NYT article covered a variety of dollstagrammers. I appreciate the time and effort that goes into all the doll photography and know personally, that there is a joy to seeing your artwork appreciated. In my Barbie Instagram circle, the responses to the NYT article were varied. Some thought it was a good article featuring their peeps. Mitten State Barbie recreates her plastic, fantastic life in the great state of Michigan. She does a fabulous job creating a one sixth scale version of her life in the Mitten state. Her doll goes to the movies, horseback riding, shopping at Target and camping. It’s fabulous. “Creepy?” Hmmmmmmmm……. creepy is opinion. “They’re seeking instagram fame, but incapable of achieving it in their own right?” From my year in the doll world, most of the people that I’ve interacted with are seeking community not fame. They share great shopping discoveries, encouragement when someone is down, and compliments on a job well done. “These are women without children or romantic love?” Calling women out on their choices to remain childless or single? That surprises me that that was actually written and printed. I could also point out that many dollstagrammers are not female. …channeling their maternal instincts into plastic figurines. I looked up maternal from Vocalulary.com: If you are maternal, you are like a mother … most people think of nurturing things like chicken soup and kisses on the forehead…” So far, I’m not kissing my dolls. IF… I found chicken soup in 1:6 scale, I might feed it to my Barbies. LOL. At the end of the day, I would say that Dollstagramming is a great hobby and a wonderful way to make new friends.